In this Japanese name, the family name is Sakamoto. Ryuichi Sakamoto (坂本 龍一, Sakamoto Ryūichi, born January 17, 1952) (Japanese pronunciation: [sakamoto ɽju͍ːitɕi]) is a Japanese musician, composer, record producer, pianist, activist, writer, actor and dancer, based in Tokyo and New York. He began his career whilst a university student as a session musician, producer, and arranger in the 1970s, first gaining major success in 1978 as one third of the electronic music group Yellow Magic Orchestra (YMO). The band had worldwide hits such as "Computer Game / Firecracker" (1978), "Behind the Mask" (1978), and "Rydeen" (1979), playing a pioneering role in the development of the synthpop, techno and house genres. He concurrently pursued a solo career, releasing the experimental electronic fusion album Thousand Knives (1978), and later released the pioneering album B-2 Unit (1980), from which "Riot in Lagos" influenced the development of electro and hip hop music. He went on to produce more solo records, collaborate with many international artists, and pursue a wide variety of projects, in different genres ranging from electronic to classical and world music. He composed music for the 1992 Barcelona Olympics opening ceremony, and his composition "Energy Flow" (1999) was the first instrumental number-one single in Japan's Oricon charts history. As a film composer, he has won an Academy Award, BAFTA, Grammy, and two Golden Globe Awards, and has received three BAFTA nominations and four Golden Globe nominations. Merry Christmas Mr. Lawrence (1983) marked his debut as a film score composer and as an actor, and its main theme was adapted into the single "Forbidden Colours" which became an international hit. His most successful work as a film composer was The Last Emperor (1987), after which he continued earning accolades composing for films such as The Sheltering Sky (1990), Little Buddha (1993), and The Revenant (2015). On occasion, Sakamoto has also worked on anime and video games, as a composer as well as a scenario writer. In 2009, he was awarded the Ordre des Arts et des Lettres from France's Ministry of Culture for his musical contributions. In 1975, Sakamoto collaborated with percussionist Tsuchitori Toshiyuki to release Disappointment-Hateruma. After working as a session musician with Haruomi Hosono and Yukihiro Takahashi in 1977, the trio formed the internationally successful electronic music band Yellow Magic Orchestra (YMO) in 1978. Known for their seminal influence on electronic music, the group helped pioneer electronic genres such as electropop/technopop, synthpop, cyberpunk music, ambient house, and electronica. The group's work has had a lasting influence across genres, ranging from hip hop and techno to acid house and general melodic music. Sakamoto was the songwriter and composer for a number of the band's hit songs—including "Yellow Magic (Tong Poo)" (1978), "Technopolis" (1979), "Nice Age" (1980), "Ongaku" (1983) and "You've Got to Help Yourself" (1983)—while playing keyboards for many of their other songs, including international hits such as "Computer Game/Firecracker" (1978) and "Rydeen" (1979). He also sang on several songs, such as "Kimi ni Mune Kyun" (1983). Sakamoto's composition "Technopolis" (1979) was credited as a contribution to the development of techno music, while the internationally successful "Behind the Mask" (1978)—a synthpop song in which he sang vocals through a vocoder—was later covered by a number of international artists, including Michael Jackson and Eric Clapton. Sakamoto released his first solo album Thousand Knives of Ryūichi Sakamoto in mid-1978 with the help of Hideki Matsutake—Hosono also contributed to the song "Thousand Knives". The album experimented with different styles, such as "Thousand Knives" and "The End of Asia"—in which electronic music was fused with traditional Japanese music—while "Grasshoppers" is a more minimalistic piano song. The album was recorded from April to July 1978 with a variety of electronic musical instruments, including various synthesizers, such as the KORG PS-3100, a polyphonic synthesizer; the Oberheim Eight-Voice; the Moog III-C; the Polymoog, the Minimoog; the Micromoog; the Korg VC-10, which is a vocoder; the KORG SQ-10, which is an analog sequencer; the Syn-Drums, an electronic drum kit; and the microprocessor-based Roland MC-8 Microcomposer, which is a music sequencer that was programmed by Matsutake and played by Sakamoto. A version of the song "Thousand Knives" was released on the Yellow Magic Orchestra's 1981 album BGM. This version was one of the earliest uses of the Roland TR-808 drum machine, for YMO's live performance of "1000 Knives" in 1980 and their BGM album release in 1981. A sample of "Riot in Lagos" from Ryuichi Sakamoto's 1980 album B-2 Unit. This track is credited for having anticipated the beats and sounds of electro music. In 1980, Sakamoto released the solo album B-2 Unit, which has been referred to as his "edgiest" record and is known for the electronic song "Riot in Lagos", which is considered an early example of electro music (electro-funk), as Sakamoto anticipated the beats and sounds of electro. Early electro and hip hop artists, such as Afrika Bambaata and Kurtis Mantronik, were influenced by the album—especially "Riot in Lagos"—with Mantronik citing the work as a major influence on his electro hip hop group Mantronix. "Riot in Lagos" was later included in Playgroup's compilation album Kings of Electro (2007), alongside other significant electro compositions, such as Hashim's "Al-Naafyish" (1983). According to Dusted Magazine, Sakamoto's use of squelching bounce sounds and mechanical beats was later incorporated in early electro and hip hop music productions, such as “Message II (Survival)” (1982), by Melle Mel and Duke Bootee; “Magic’s Wand” (1982), by Whodini and Thomas Dolby; Twilight 22’s “Electric Kingdom” (1983); and Kurt Mantronik's Mantronix: The Album (1985). The 1980 release of "Riot in Lagos" was listed by The Guardian in 2011 as one of the 50 key events in the history of dance music. Also in 1980, Sakamoto released the single "War Head/Lexington Queen", an experimental synthpop and electro record, and began a long-standing collaboration with David Sylvian, when he co-wrote and performed on the Japan track "Taking Islands In Africa". In 1982, Sakamoto worked on another collaboration with Sylvian, a single entitled "Bamboo Houses/Bamboo Music". Sakamoto's 1980 collaboration with Kiyoshiro Imawano, "Ikenai Rouge Magic", topped the Oricon singles chart. In 1983, Sakamoto starred alongside David Bowie in director Nagisa Oshima's Merry Christmas Mr. Lawrence. In addition to acting in the film, Sakamoto also composed the film's musical score and again collaborated with Sylvian on the film's main theme ("Forbidden Colours") – which became a minor hit. In a 2016 interview, Sakamoto reflected on his time acting in the film, claiming that he "hung out" with Bowie every evening for a month while filming on location. He remembered Bowie as "straightforward" and "nice", while also lamenting the fact that he never mustered the courage to ask for Bowie's help while scoring the film's soundtrack as he believed Bowie was too "concentrated on acting". Sakamoto released a number of solo albums during the 1980s. While primarily focused on the piano and synthesizer, this series of albums included collaborations with artists such as Sylvian, David Byrne, Thomas Dolby, Nam June Paik and Iggy Pop. Sakamoto would alternate between exploring a variety of musical styles, ideas and genres—captured most notably in his 1983 album Illustrated Musical Encyclopedia—and focusing on a specific subject or theme, such as the Italian Futurism movement in Futurista (1986). For the song "Broadway Boogie Woogie", Sakamoto liberally used samples from Ridley Scott's film Blade Runner and blended them with raucous, sax-driven techno-pop. As his solo career began to extend outside Japan in the late 1980s, Sakamoto's explorations, influences and collaborators also developed further. Beauty (1989) features a tracklist that combines pop with traditional Japanese and Okinawan songs, as well as guest appearances by Jill Jones, Robert Wyatt, Brian Wilson and Robbie Robertson. Heartbeat (1991) and Sweet Revenge (1994) features Sakamoto's collaborations with a global range of artists such as Roddy Frame, Dee Dee Brave, Marco Prince, Arto Lindsay, Youssou N'Dour, David Sylvian and Ingrid Chavez. The themes of Prayer and Salvation came out of the feelings of sadness and frustration that I expressed in the first two movements, about the fact that people are starving in the world, and we are not able to help them. People are dying, and yet the political and economical and historical situations are too complicated and inert for us to do much about it. So I got really angry with myself. I asked myself what I could do, and since there's not a lot I can do on the practical level, all that's left for me is to pray. But it's not enough just to pray; I also had to think about actually saving those people, so the last movement is called Salvation. That's the journey of the piece. In 1998, Italian ethnomusicologist Massimo Milano published Ryuichi Sakamoto. Conversazioni through the Padova, Arcana imprint. All three editions of the book were published in the Italian language. Sakamoto's next album, BTTB (1998)—an acronym for "Back to the Basics"—was a fairly opaque reaction to the prior year's multilayered, lushly orchestrated Discord. The album comprised a series of original pieces on solo piano, including "Energy Flow" (a major hit in Japan) and a frenetic, four-hand arrangement of the Yellow Magic Orchestra classic "Tong Poo". On the BTTB U.S. tour, he opened the show performing a brief avant-garde DJ set under the stage name DJ Lovegroove. Sakamoto's long-awaited "opera" LIFE was released in 1999, with visual direction by Shiro Takatani, artistic director of Dumb Type. It premiered with seven sold-out performances in Tokyo and Osaka. This ambitious multi-genre multi-media project featured contributions by over 100 performers, including Pina Bausch, Bernardo Bertolucci, Josep Carreras, His Holiness The Dalai Lama and Salman Rushdie. Keigo Oyamada with Sakamoto in 2007. Sakamoto teamed with cellist Jaques Morelenbaum (a member of his 1996 trio), and Morelenbaum's wife, Paula, on a pair of albums celebrating the work of bossa nova pioneer Antonio Carlos Jobim. They recorded their first album, Casa (2001), mostly in Jobim's home studio in Rio de Janeiro, with Sakamoto performing on the late Jobim's grand piano. The album was well received, having been included in the list of New York Times's top albums of 2002. Sakamoto collaborated with Alva Noto (an alias of Carsten Nicolai) to release Vrioon, an album of Sakamoto's piano clusters treated by Nicolai's unique style of digital manipulation, involving the creation of "micro-loops" and minimal percussion. The two produced this work by passing the pieces back and forth until both were satisfied with the result. This debut, released on German label Raster-Noton, was voted record of the year 2004 in the electronica category by British magazine The Wire. They then released Insen (2005)—while produced in a similar manner to Vrioon, this album is somewhat more restrained and minimalist. They keep on collaborating and have released two more albums: utp_ (2008) and Summvs (2011). In 2005, Finnish mobile phone manufacturer Nokia hired Sakamoto to compose ring and alert tones for their high-end phone, the Nokia 8800. In 2006 Nokia offers the ringtones for free at Nokias website. Around this time, a reunion with YMO pals Hosono and Takahashi caused a stir in the Japanese press. They released a single "Rescue" in 2007 and a DVD "HAS/YMO" in 2008. In July 2009, Sakamoto was honored as Officier of Ordre des Arts et des Lettres at the French Embassy in Tokyo. Throughout the latter part of the 2000s, Sakamoto collaborated on several projects with visual artist Shiro Takatani, including the installations LIFE - fluid, invisible, inaudible... (2007–2013), commissioned by YCAM, Yamaguchi, collapsed and silence spins at the Museum of Contemporary Art Tokyo in 2012 and 2013 Sharjah Biennial (U.A.E. ), LIFE-WELL in 2013 and a special version for Park Hyatt Tokyo's 20th anniversary in 2014, and he did music for the joint performance LIFE-WELL featuring the actor Noh/Kyogen Mansai Nomura, and for Shiro Takatani's performance ST/LL in 2015. In 2013, Sakamoto was a jury member at the 70th Venice International Film Festival. The jury viewed 20 films and was chaired by filmmaker Bernardo Bertolucci. On July 10, 2014, Sakamoto released a statement indicating that he had been diagnosed with oropharyngeal cancer in late June of the same year. He announced a break from his work while he sought treatment and recovery. On August 3, 2015, Sakamoto posted on his website that he was "in great shape ... I am thinking about returning to work" and announced that he would be providing music for Yoji Yamada's Haha to Kuraseba (Living with My Mother). In 2015, Sakamoto also composed the score for the Alejandro González Iñárritu's film, The Revenant. Sakamoto's production credits represent a prolific career in this role. In 1983, he produced Mari Iijima's debut album Rosé, the same year that the Yellow Magic Orchestra was disbanded. Sakamoto subsequently worked with artists such as Thomas Dolby; Aztec Camera, on the Dreamland (1993) album; and Imai Miki, co-producing her 1994 album A Place In The Sun. He's got this reputation as a boffin, a professor of music who sits in front of a computer screen. But he's more intuitive than that, and he's always trying to corrupt what he knows. Halfway through the day in the studio, he will stop and play some hip hop or some house for 10 minutes, and then go back to what he was doing. He's always trying to trip himself up like that, and to discover new things. Just before we worked together he'd been out in Borneo, I think, with a DAT machine, looking for new sounds. A sample of "Merry Christmas, Mr. Lawrence" from the 1983 film of the same name. It won him a BAFTA, was the basis for his hit song "Forbidden Colours", and has had a number of cover versions produced by other artists. Sakamoto began working in films, as a composer and actor, in Nagisa Oshima's Merry Christmas Mr. Lawrence (1983), for which he composed the soundtrack, title theme, and the duet "Forbidden Colours" with David Sylvian. Sakamoto later composed Bernardo Bertolucci's The Last Emperor (1987), which earned him the Academy Award with fellow composers David Byrne and Cong Su. In that same year, he composed the score to the cult-classic anime film Royal Space Force: The Wings of Honnêamise. Sakamoto also went on to compose the score of the opening ceremony for the 1992 Summer Olympics in Barcelona, Spain, telecast live to an audience of over a billion viewers. Other films scored by Sakamoto include Pedro Almodóvar's Tacones lejanos (High Heels) (1991), Bertolucci's The Little Buddha (1993), Oliver Stone's Wild Palms (1993), John Maybury's Love Is the Devil: Study for a Portrait of Francis Bacon (1998), Brian De Palma's Snake Eyes (1998) and Femme Fatale (2002), Oshima's Gohatto (1999), Jun Ichikawa's (director of the Mitsui ReHouse commercial from 1997 to 1999 starring Chizuru Ikewaki and Mao Inoue) Tony Takitani (2005). Several tracks from Sakamoto's earlier solo albums have also appeared in film soundtracks. In particular, variations of "Chinsagu No Hana" (from Beauty) and "Bibo No Aozora" (from 1996) provide the poignant closing pieces for Sue Brooks's Japanese Story (2003) and Alejandro González Iñárritu's Babel (2006), respectively. In 2015, Sakamoto teamed up with Iñárritu to score his film, The Revenant starring Leonardo DiCaprio and Tom Hardy. Sakamoto has also acted in several films: perhaps his most notable performance was as the conflicted Captain Yonoi in Merry Christmas Mr Lawrence, alongside Takeshi Kitano and British rock singer David Bowie. He also played roles in The Last Emperor (as Masahiko Amakasu) and Madonna's "Rain" music video. Sakamoto's first of two marriages occurred in 1972, but ended in divorce two years later—Sakamoto has a daughter from this relationship. Sakamoto then married popular Japanese pianist and singer Akiko Yano in 1982, following several musical collaborations with her, including touring work with the Yellow Magic Orchestra. Sakamoto's second marriage ended in August 2006, 14 years after a mutual decision to live separately—Yano and Sakamoto raised one daughter, J-pop singer Miu Sakamoto. He has lived with his manager since around 1990 and has two children with her. Beginning in June 2014, Sakamoto took a year-long hiatus after he was diagnosed with oropharyngeal cancer. In 2015, he returned, stating: "Right now I'm good. I feel better. Much, much better. I feel energy inside, but you never know. The cancer might come back in three years, five years, maybe 10 years. Also the radiation makes your immune system really low. It means I'm very welcoming [of] another cancer in my body." Sakamoto is a member of the anti-nuclear organization Stop Rokkasho and has demanded the closing of the Hamaoka Nuclear Power Plant. In 2012, he organized the No Nukes 2012 concert, which featured performances by 18 groups, including Yellow Magic Orchestra and Kraftwerk. Sakamoto is also known as a critic of copyright law, arguing in 2009 that it is antiquated in the information age. He argued that in "the last 100 years, only a few organizations have dominated the music world and ripped off both fans and creators" and that "with the internet we are going back to having tribal attitudes towards music." 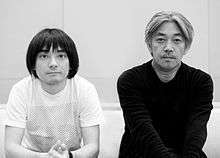 In 2006 Sakamoto, in collaboration with Japan's largest independent music company Avex Group, founded Commmons (コモンズ, Komonzu), a record label seeking to change the manner in which music is produced. Sakamoto has explained that Commmons is not his label, but is a platform for all aspiring artists to join as equal collaborators, to share the benefits of the music industry. On the initiative's "About" page, the label is described as a project that "aims to find new possibilities for music, while making meaningful contribution to culture and society." The name "Commmons" is spelt with three "m"s because the third "m" stands for music. Sakamoto has won a number of awards for his work as a film composer, beginning with his score for Merry Christmas, Mr. Lawrence (1983) winning him the BAFTA Award for Best Film Music. His greatest award success was for scoring The Last Emperor (1987), which won him the Academy Award for Best Original Score, Golden Globe Award for Best Original Score, and Grammy Award for Best Score Soundtrack Album for a Motion Picture, Television or Other Visual Media, as well as a BAFTA nomination. His score for The Sheltering Sky (1990) later won him his second Golden Globe Award, and his score for Little Buddha (1993) received another Grammy Award nomination. In 1997, his collaboration with Toshio Iwai, Music Plays Images X Images Play Music, was awarded the Golden Nica, the grand prize of the Prix Ars Electronica competition. He also contributed to the Academy Award winning soundtrack for Babel (2006) with several pieces of music, including the "Bibo no Aozora" closing theme. In 2009, he was awarded the Ordre des Arts et des Lettres from France's Ministry of Culture for his musical contributions. His score for The Revenant (2015) has been nominated for the Golden Globe and BAFTA, and won Best Musical Score from the Dallas–Fort Worth Film Critics Association. The music video for "Risky", written and directed by Meiert Avis, also won the first ever MTV "Breakthrough Video Award". The ground breaking video explores transhumanist philosopher FM-2030's (Persian: فریدون اسفندیاری) ideas of "Nostalgia for the Future", in the form of an imagined love affair between a robot and one of Man Ray's models in Paris in the late 1930s. Additional inspiration was drawn from Jean Baudrillard, Edvard Munch's 1894 painting "Puberty", and Roland Barthes "Death of the Author". The surrealist black and white video uses stop motion, light painting, and other retro in-camera effects techniques. Meiert Avis shot Sakamoto while at work on the score for "The Last Emperor" in London. Sakamoto also appears in the video painting words and messages to an open shutter camera. Iggy Pop, who performs the vocals on "Risky", chose not to appear in the video, allowing his performance space to be occupied by the surrealist era robot. Sakamoto won the Golden Pine Award (Lifetime Achievement) at the 2013 International Samobor Film Music Festival, along with Clint Eastwood and Gerald Fried. MTV Breakthrough Video Award, for music video of "Risky"
1 2 3 "Yellow Magic Orchestra profile". Allmusic. Retrieved June 3, 2009. 1 2 3 4 Lewis, John (July 4, 2008). "Back to the future: Yellow Magic Orchestra helped usher in electronica – and they may just have invented hip-hop, too". The Guardian. UK. Retrieved May 25, 2011. 1 2 3 Denise Sullivan (May 13, 2011). "What Makes A Legend: Ryuichi Sakamoto". Crawdaddy!. Archived from the original on May 15, 2011. Retrieved May 31, 2011. 1 2 "Famous Japanese & Foreigners In Japan: Ryuichi Sakamoto". JapanVisitor. GoodsFromJapan KK. Archived from the original on February 1, 2016. Retrieved January 31, 2016. 1 2 Broughton, Frank (2007). La historia del DJ / The DJ's Story, Volume 2. Ediciones Robinbook. p. 121. ISBN 84-96222-79-9. Retrieved May 25, 2011. ↑ "Sakamoto's 'energy Flow' Enlivens Japan". AllBusiness.com. July 2, 1999. Retrieved November 29, 2008. 1 2 Dayal, Gheeta (July 7, 2006). "Yellow Magic Orchestra". Groove. The Original Soundtrack. Retrieved June 17, 2011. ↑ Smith, Douglas Q. (October 18, 2010). "Gig Alert: Ryuichi Sakamoto". WNYC. Retrieved July 20, 2011. ↑ "土取利行 ＋ 坂本龍一 / Disappointment Hateruma". jazzamurai.exblog.jp (in Japanese). February 2, 2007. Retrieved January 23, 2016. ↑ Lester, Paul (June 20, 2008). "Yellow Magic Orchestra". The Guardian. UK. Retrieved May 26, 2011. ↑ Bogdanov, Vladimir (2001). All music guide to electronica: the definitive guide to electronic music (4th ed.). Backbeat Books. p. 582. ISBN 0-87930-628-9. Retrieved May 26, 2011. ↑ "Yellow Magic Orchestra – BGM". Yellow Magic Orchestra on Discogs. Discogs. 2014. Retrieved 22 June 2014. 1 2 Buckley, Peter (2003). The rough guide to rock. Rough Guides. p. 901. ISBN 1-84353-105-4. Retrieved May 25, 2011. ↑ O'Connell, Jake (August 22, 2008). "Dusted Reviews – Mantronix: The Album (Deluxe Edition)". Dusted Magazine. Retrieved July 21, 2011. ↑ Vine, Richard (July 9, 2011). "Ryuichi Sakamoto records Riot In Lagos". The Guardian. UK. Retrieved July 9, 2011. ↑ Bowe, Miles (January 13, 2016). "Ryuichi Sakamoto reflects on his unique time with David Bowie". Fact. The Vinyl Factory. Retrieved January 18, 2016. ↑ "Ryuichi Sakamoto Broadway Boogie Woogie (HQ)" (Audio upload). MetalMachineManiac on YouTube. Google Inc. 3 July 2011. Retrieved 22 June 2014. ↑ "Ryuichi Sakamoto – Sweet Revenge". Ryuchi Sakamoto on Discogs. Discogs. 2014. Retrieved 22 June 2014. 1 2 3 "RYUICHI SAKAMOTO: Classical & Pop Fusion". Sound On Sound. SOS Publications Group. April 1998. Retrieved 22 June 2014. ↑ "PRAYER / SALVATION REMIXES". Ninja Tune. Ninja Tune. 22 June 2014. Retrieved 22 June 2014. ↑ "Showing all editions for 'Ryuichi Sakamoto : conversazioni'". OCLC WorldCat. OCLC. 2001–2014. Retrieved 22 June 2014. ↑ Couture, François. "Alva Noto / Ensemble Modern / Ryuichi Sakamoto: utp_". Allmusic. allmusic.com. Retrieved 14 January 2016. ↑ "Alva Noto + Ryuichi Sakamoto – Summvs". Discogs. discogs.com. Retrieved 18 January 2016. ↑ Sakamoto Ringtones Offered to All http://www.wired.com/; Retrieved September 9, 2015. ↑ "The Scene is a Prism. Notes about ST/LL of Shiro Takatani". ↑ "Juries and Awards of the 70th Venice Film Festival". La Biennale. 7 September 2013. Retrieved 22 June 2014. ↑ "Ryuichi Sakamoto diagnosed with Throat Cancer". July 10, 2014. ↑ Monroe, Jazz (August 3, 2015). "Ryuichi Sakamoto "In Great Shape" Following Cancer Treatment". Pitchfork. 1 2 "Ryuichi Sakamoto Scoring Alejandro Gonzalez Inarritu's 'The Revenant'". Film Music Reporter. September 29, 2015. Retrieved September 30, 2015. ↑ "飯島真理* – Rosé". 飯島真理* on Discogs. Discogs. 2014. Retrieved 22 June 2014. ↑ "Thomas Dolby – Silk Pyjamas". Thomas Dolby on Discogs. Discogs. 2014. Retrieved 22 June 2014. 1 2 Giles Smith (6 May 1993). "MUSIC / The Roddy and Ryuichi roadshow: When Roddy Frame wanted to make his new album with Ryuichi Sakamoto, he had to wait in line. Giles Smith reports". The Independent. Retrieved 22 June 2014. ↑ "Imai Miki* – A Place In The Sun". Imai Miki* on Discogs. Discogs. 2014. Retrieved 22 June 2014. ↑ "Roddy Frame Interview with Safe in Sorrow accoustic version" (Video upload). mrjbroberts on YouTube. Google Inc. 10 March 2013. Retrieved 22 June 2014. ↑ Weingarten, Christopher R. (December 17, 2015). "Ryuichi Sakamoto Details 'Gigantic' Score to 'Birdman' Director's 'The Revenant'i". Rolling Stone. ↑ "Kraftwerk, YMO sing the No Nukes rally cry". The Japan Times. July 8, 2012. Retrieved 17 July 2012. ↑ "The No Nukes 2012 Concert and the Role of Musicians in the Anti-Nuclear Movement". The Asia-Pacific Journal. July 16, 2012. Retrieved 17 July 2012. ↑ Hoban, Alex (May 19, 2009). "Turning Japanese: The Philosophy of Ryuichi Sakamoto". The Guardian. UK. Retrieved July 16, 2011. ↑ "about commmons". Commmons. commmons/AMI. 22 June 2014. Retrieved 22 June 2014. ↑ "Ryuichi Sakamoto: Classical & Pop Fusion". Sound on Sound. April 1998. Retrieved July 4, 2011. ↑ "Clint Eastwood, Ryuichi Sakamoto And Gerald Fried To Receive Golden Pine Awards For Lifetime Achievement". ISFMF. 2013-10-18. Retrieved 2014-05-15. 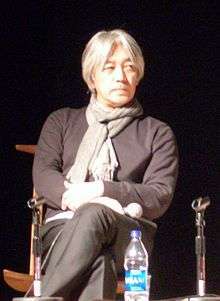 Wikimedia Commons has media related to Ryuichi Sakamoto. Avex D.D., Inc. → Avex, Inc. → Avex Group Holdings, Inc.